Last week I popped into one of Dublin's shining lights on the menswear scene to take some pictures and have some chats. What you may not know is that while I was Nowhere, I shot two very sweet looks... Here's the first. While I may be known for wearing all colours of the rainbow (and not on the rainbow) on me at any given time, one of my favourite looks (and some of you may have seen me in this) is the monochrome look. The monochrome look is a timeless one that works in pretty much every setting except a colour run and can be made to look either casual or formal to suit your mood. This look is my homage to the urban man. The man that knows what he wants and isn't afraid to get it. The man who doesn't give a jot what other people think about his choices but always makes the right ones in the moment. Oversize tees matched with fitted shirts and heavy bombers; this is a look that doesn't scream anything... It whispers a quiet efficiency in an urban setting. 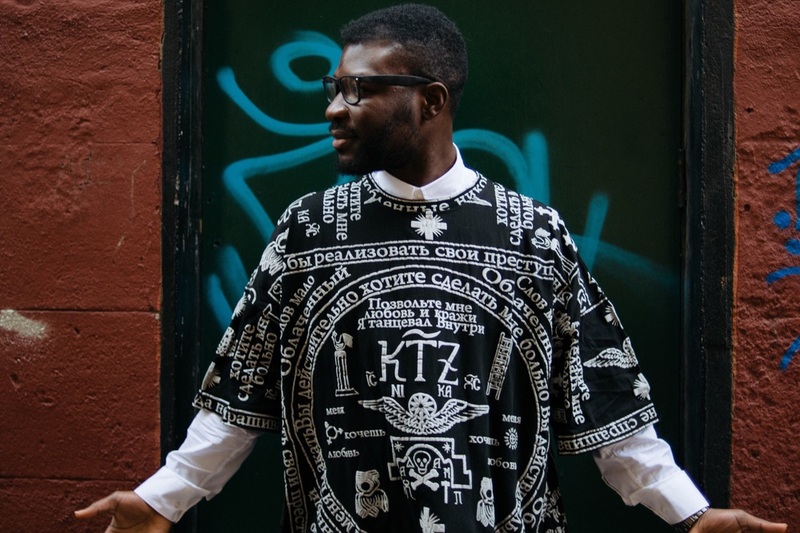 This wicked KTZ oversized tee from their 2013 A/W range that is exclusive to Nowhere. 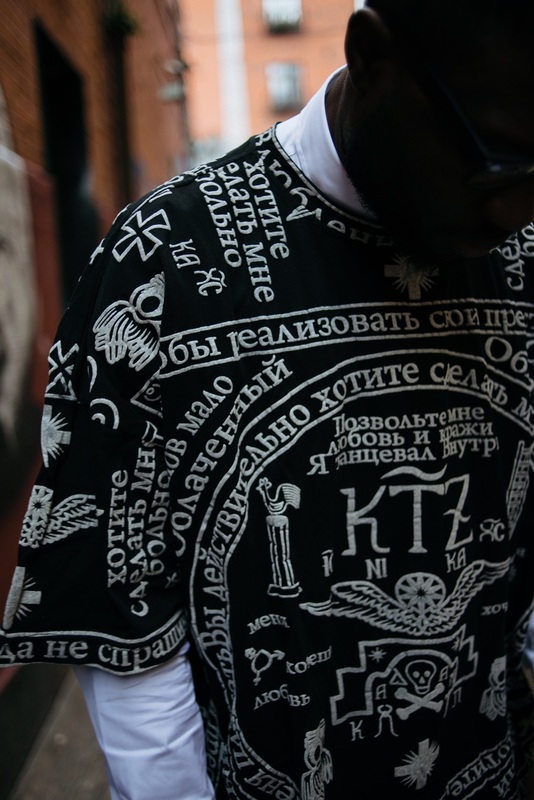 The tee is a KTZ tribute to Boy George and Culture Club and is covered with raised Cyrillic letters that spell out Boy George's iconic 'Do you really want to hurt me?' 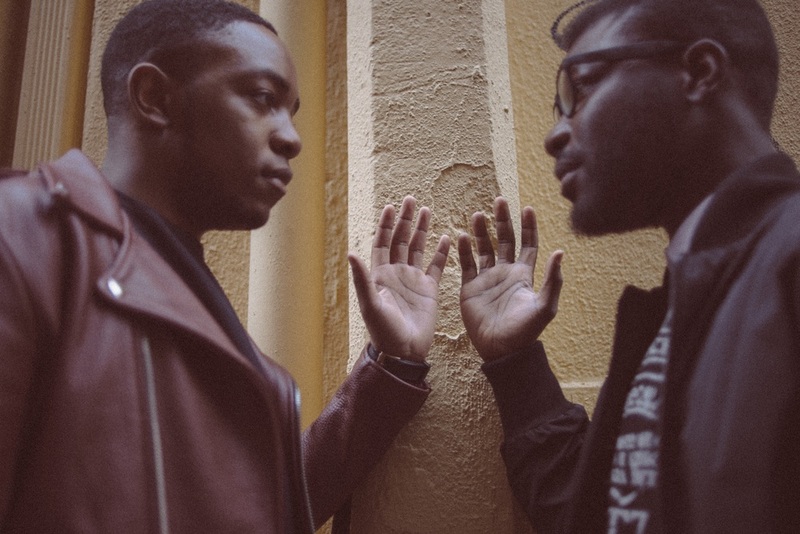 lyrics. I simply love it and slipped it over a CMMN_SWDN structured shirt with a bright orange appliqué patch running from the breast to the hem (you can just about see a hint of it). This bomber is both comfortable and warm and is incredibly versatile! I spent most of the day shooting with Laws of Style who went for a different choice of looks in a very urban and Scandinavian way but I think he looks great also rocking all Matthew Miller, while Kooqy did a wicked job on these shots!